A quiet morning in the mountains of Malibu. We rose at 6:30AM to the gentle sunrise and light chirps and welcomed the makeup and hair team of Chiali Meng. 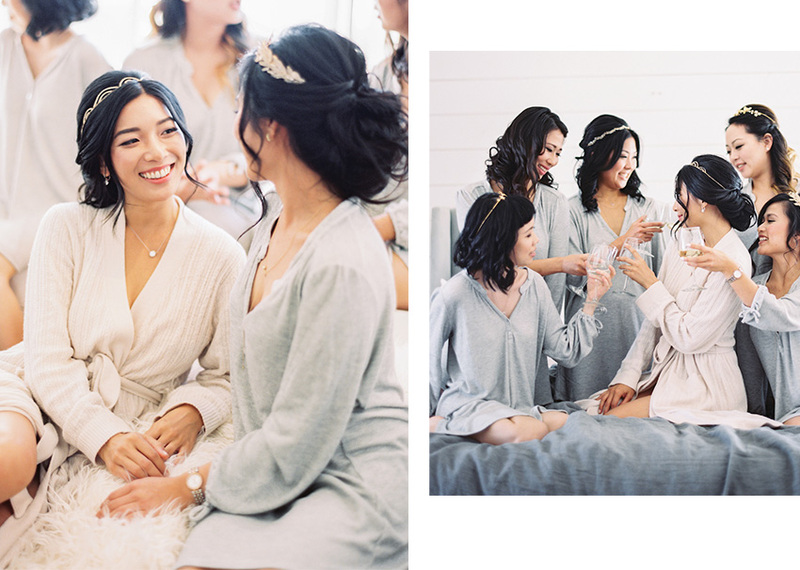 My bridesmaids, including my younger sister and my best and oldest friends from college, dressed in Eberjey to get ready together for the big day. 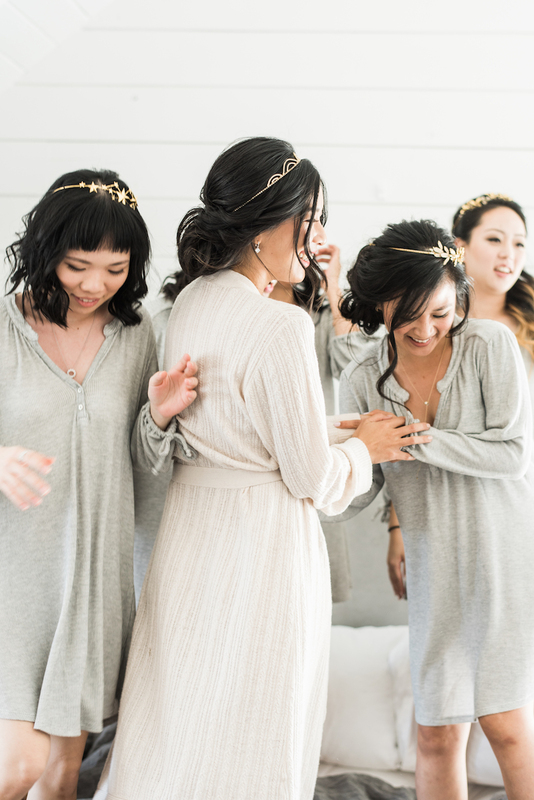 I gifted each bridesmaid the Bailey Sleepshirt, which I love for its soft waffle texture, subtle blouson sleeve, and romantic silhouette. I spent my morning in the Elsa Robe, made with cozy wool for a decadent feel on a cool November morning. Eberjey is a no-brainer for our boudoir wear because their effortless lounge and intimate pieces are always elegant, romantic, and oh so comfortable. Already owning a few pieces in my wardrobe, it was a natural inclination to share this brand with my closest ladies. It only took a couple of hours or so of magic by Chiali Meng and her team to create our thoughtful, romantic looks for the wedding. Each of us wore a unique headpiece by Jennifer Behr for a subtle statement and adorned ourselves in earrings, necklaces, and bracelets by Tacori. Stay tuned for more of my wedding on Honey&Hubs!